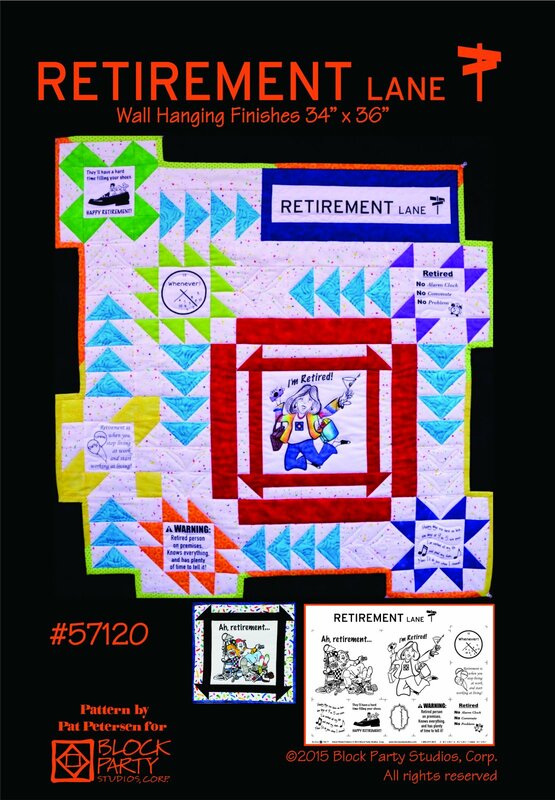 Delight friends and loved ones with a quilt made with our Retirement Lane fabric panel. They are sure to get a laugh from and enjoy the sentiments. Printed with black ink on choice of white or natural 100% Kona Cotton. Color the panel with FabricMate Dye pens for more fun and pizzazz! Finished quilt size is 34" x 34".